Transform stress and self-doubt into deep peace and love for yourself and your process of calling in your baby! You may be just starting out, or maybe you’ve been trying to conceive for years, and have “tried everything,” to no avail. Perhaps your ordinarily confident self has been dismantled, procedure by procedure, test by test. And you may be wondering how long you – and your bank account – can sustain this. Or, you may have just decided that now, you’re ready, and you want to prepare your mind AND your body for the best pregnancy, birth and mothering experience possible. Wherever you are, this program is for you! 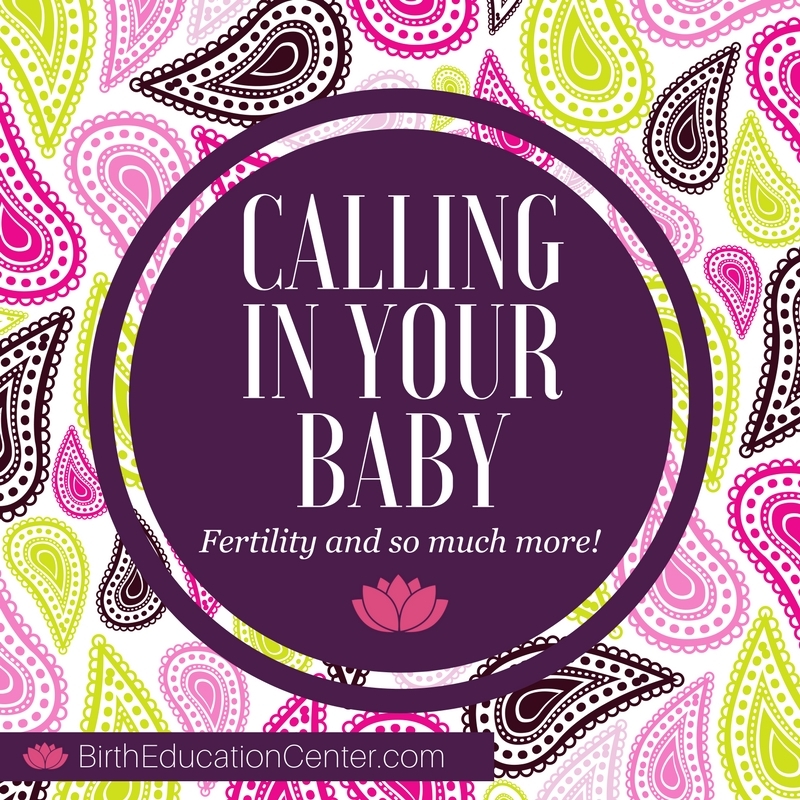 We are now very pleased to announce our newest service for women facing fertility challenges: “Calling In Your Baby” is a powerful six-month program combining hypnotherapy, health coaching and cognitive work that results in reduced systemic inflammation and stress hormones, as well as vital mindset shifts that support conception and healthy pregnancy. Research published in The Journal of the American Medical Women´s Association and Fertility and Sterility studies has shown that mind-body techniques such as hypnosis result in more than doubling success rates from 20% (IVF alone) to 42-55%. Other studies have had similar findings. We are confident that the health coaching component, with its emphasis on reducing systemic inflammation, will increase success rates even more dramatically. In addition to my focused support, you’ll have an amazing group of women offering care, or being cared FOR, at The Birth Education Center! GETTING pregnant is just the first step. We’ll be there to support you through your pregnancy, birth and breastfeeding. With all you’re doing to start your journey, give yourself the gift that will transform your journey from one of stress and fear to confidence and peace!